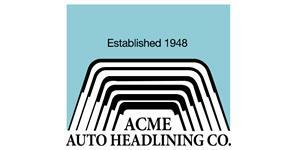 Do yourself a favor and pick up a set of these brand new, fully assembled, deluxe door panels. The door panel is not just there for convenience, it also serves an important purpose: blocking out excessive road noise that comes from the door cavity. Door cavities are a breeding ground for squeaks, rattles, knocks, and other annoying sounds. If your Mustang's door panel is ill fitting, not properly installed, damaged or missing these sounds will find their way into your interior and eventually drive you nuts! 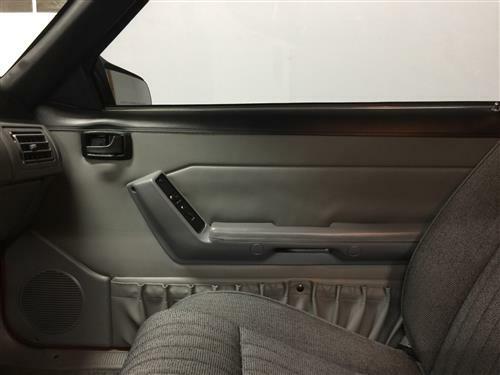 Replace your worn Mustang door panels for a complete restoration of your Fox Body! 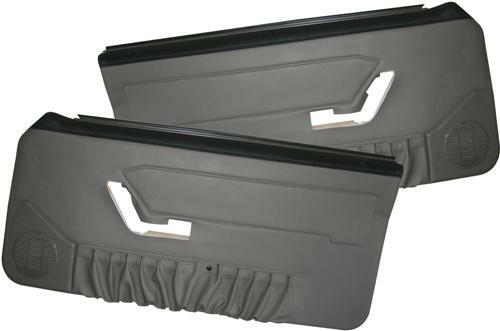 Install them with the brand new door panel clips and drive your Mustang in peace! Your ears will thank you!